The mission of 17 million active volunteers within the International Federation of Red Cross and Red Crescent Societies (IFRC) is to improve the lives of vulnerable people by mobilizing the power of humanity. Vulnerable people are those who are at greatest risk from situations that threaten their survival, or their capacity to live with an acceptable level of social and economic security and human dignity. To assist with accomplishing this mission the IFRC commissioned Dot (formally e-Mersion) to design and develop several robust self-service learning programs with on and off-line accessibility. 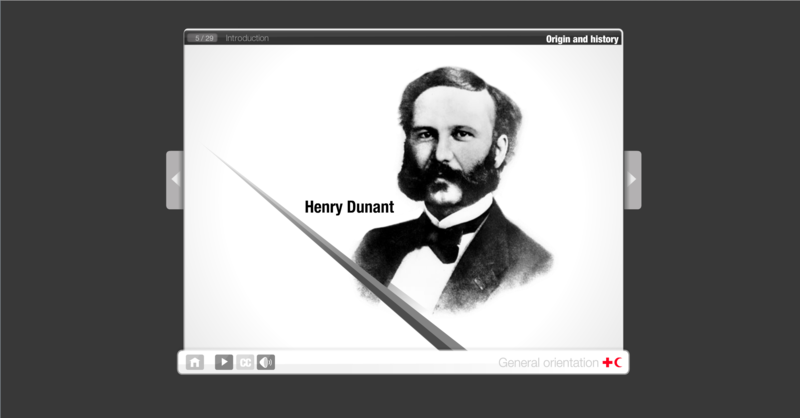 The programs included several unique features, including a publishing platform sponsored by RISEcx and a content management system with built in translation functionality. 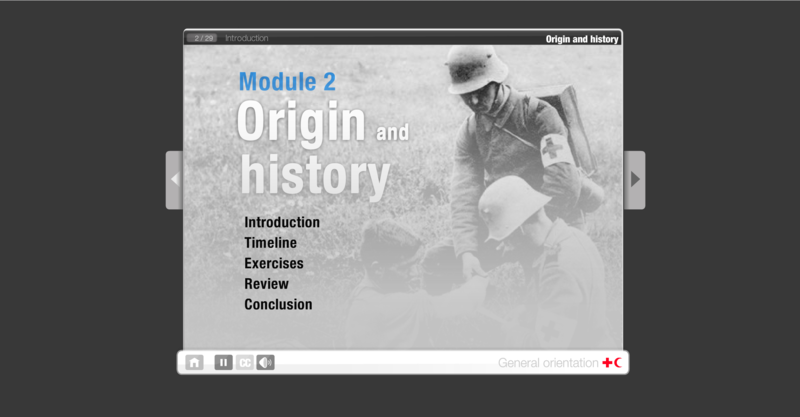 Several of the self-learning courses are prerequisite for all IFRC delegates going to the field, and they are also available to all Red Cross staff, volunteers, registered members, and targeted external audiences (university staff and students, armed forces, governments, donors, the media and schools). 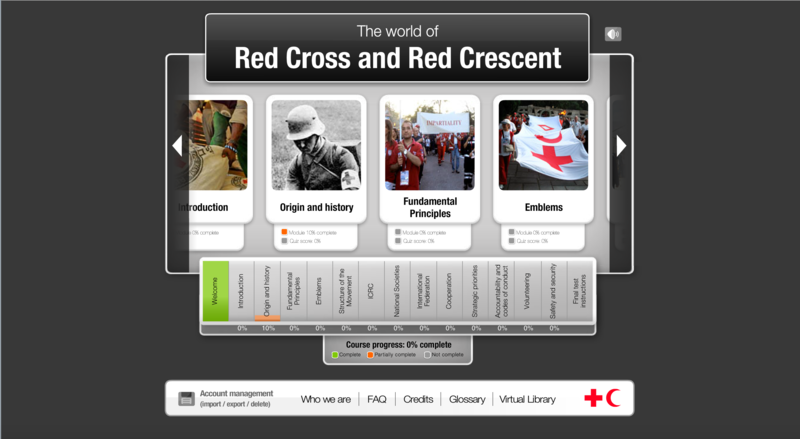 The program was produced to educate and mobilize the world of IFRC volunteers. Over the years the program has expanded to support several strategic IFRC initiatives including, response to the pandemic influenza, natural disaster and managing relief for refugees who have been forced to migrate from their native war torn country. Multi-lingual backend support java, php, Flash.